Intolerance of different religions, miscommunication, and bigotry. It doesn't have to be this way. A global revolution is emerging - interfaith. In an increasingly politically and religiously fragmented world, a number of adherents of different faiths have realised the necessity of global interfaith connection and communication.Quiet Revolution investigates this important growing phenomenon. Over the last fifteen years or so there has been a worldwide mushrooming of organisations to promote international interfaith dialogue and understanding. 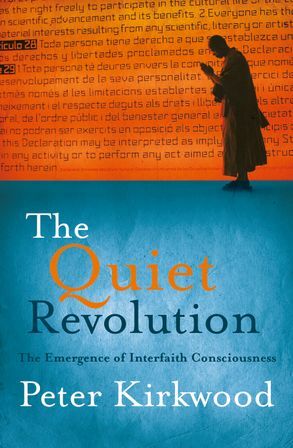 Quiet Revolution introduces the basis for this developing interfaith movement - the desire for communication and understanding between different faiths, from Christian to Muslim to Buddhist and beyond. travelling from the most multi-religious society in the world - and the home of many interfaith communities - New York, the ABC's Peter Kirkwood investigates this global movement and the communities and individuals that are driving its growth. Quiet Revolution is being written concurrently with the filming and production of an important three-part ABC television documentary series of the same name to be screened as the book is being published. Peter Kirkwood is a long-time producer on ABC Television's award-winning program Compass, and the author of Tomorrow's Islam (2005).